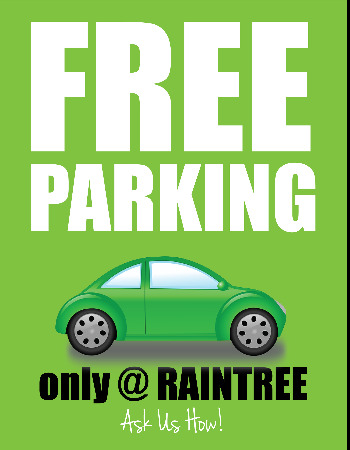 Just four minutes from BYU campus, across the street from LaVell Edwards Stadium, and five minutes from all the inventive local eats and shopping on Center Street and University Ave, it's easy to see what makes living at Raintree Commons so ideal. From the moment you move into any one of our Provo rentals, you'll be connected to local favoriteslike iconic grub at Cafe Rio Mexican Grill, flavorful burgers at Cubby's Chicago Beef, homemade goods at Shirley's Bakery & Cafe, and soda-perfection at Swig. The nearby Provo City Library and the HBLL are perfect for studying, while groceries at Macey's, Smith's, and Sprouts Farmers Market are just a short bike ride or drive away. Whether you feel like catching a movie at the Cinemark Movies 8 dollar theater, shopping at University Mall, or relaxing on the nearby Provo River Trail, there's something for everyone at Raintree Commons. Once you've found the floor plan that's right for you, stop by today to set up a tour!